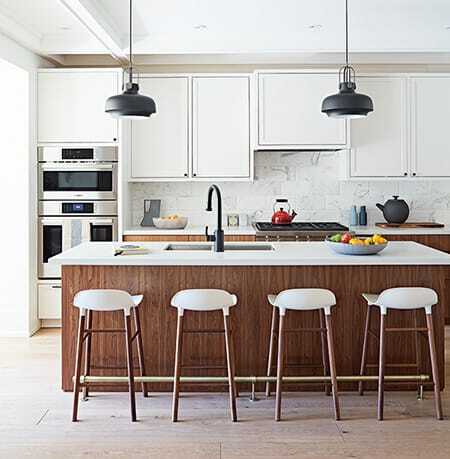 There are several decorating trends out there right now, but two are actually classics that are seeing a resurgence: marble and subway tile. So what happens when you combine the two? Magic! Marble subway tile is a trend in its own right, combining two timeless elements that are even better when they’re together. 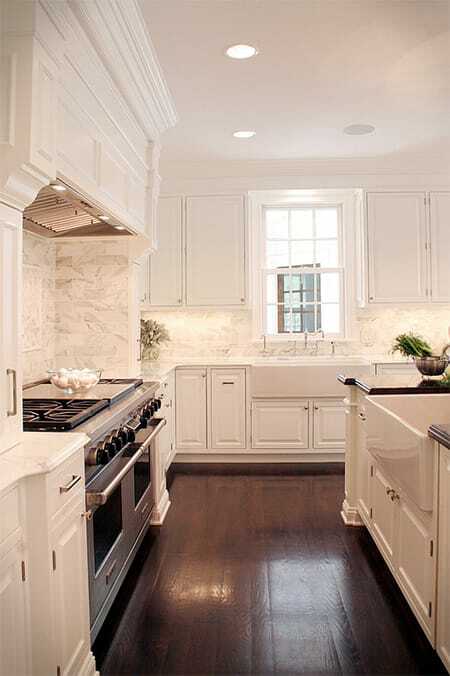 Subway tile brings the clean, neat look while marble adds a touch of glamour and luxury. Both are versatile in their own right and are just as versatile together. 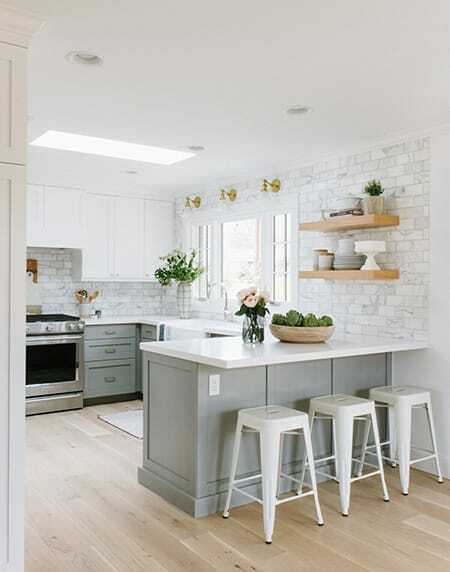 Marble subway tile looks great in just about any decorating style, whether you like traditional, contemporary, modern or even a farmhouse look. It has a way of complementing and upgrading any style. 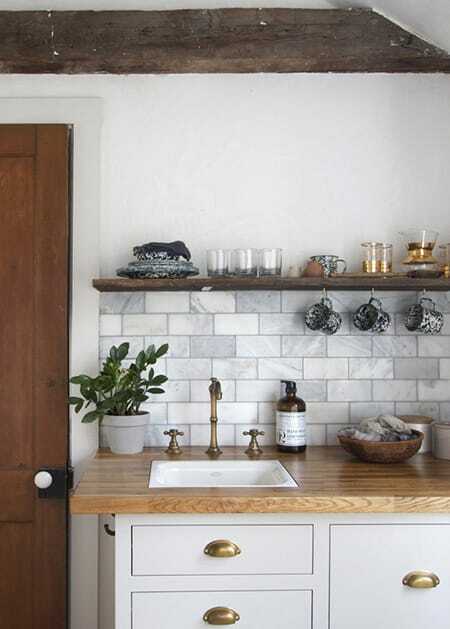 What’s also great about marble subway tile? There are some great inexpensive options on the market. 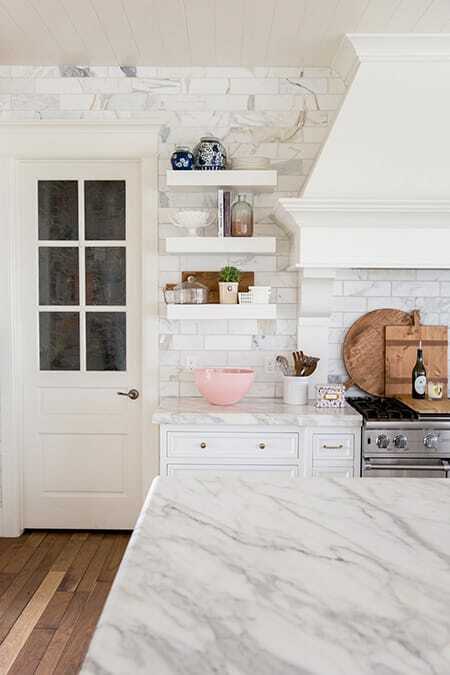 Here are 10 examples of kitchens and bathrooms with marble subway tile to give you some ideas. The marble subway tile in this minimalist kitchen keeps with the streamlined look while offering a subtle touch of something different. How cute is this farmhouse kitchen? 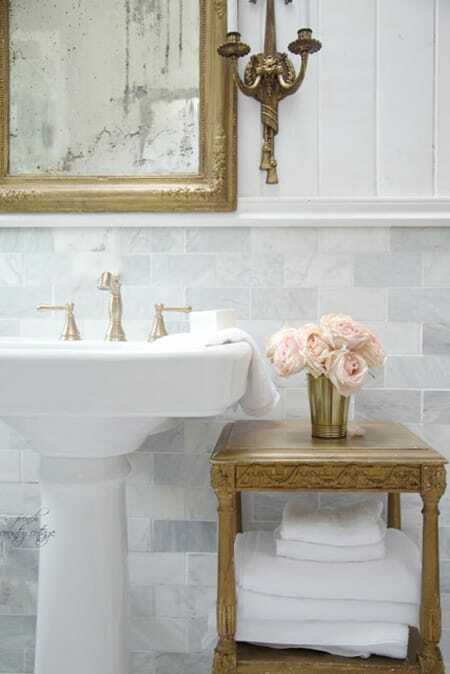 The marble subway tile and brass accents bring a little bit of glamour to the otherwise very casual space. 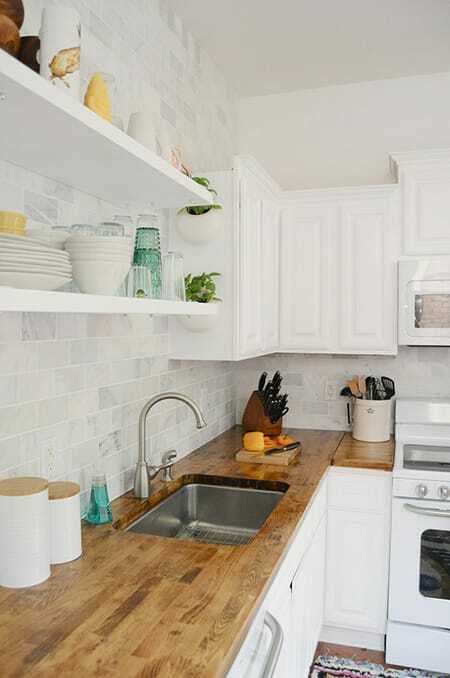 Marble subway tile is the star in this gorgeous kitchen. Love how they took it up to the ceiling! Large subway tiles have a contemporary look that is made glamorous by the marble pattern. A matte finish offers a subtle twist on marble for a more relaxed appeal. Marble and shiplap are the perfect combination of luxury and farmhouse. Love yet another stunning example of marble subway tile taken all the way up to the ceiling and mixed beautifully with farmhouse elements. 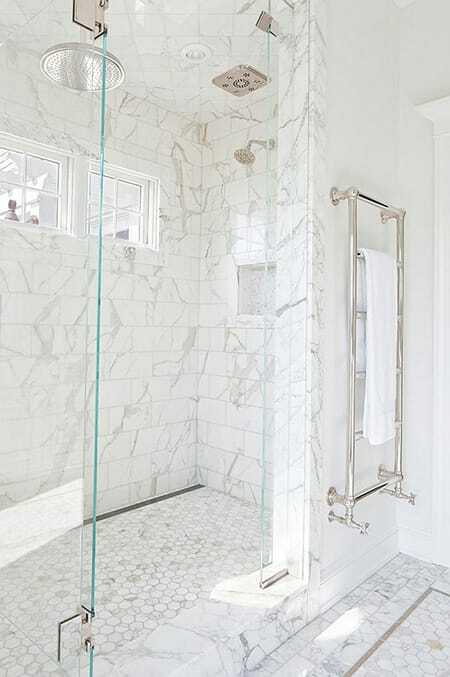 The pattern in the marble tile breaks up all the white for a little visual interest. 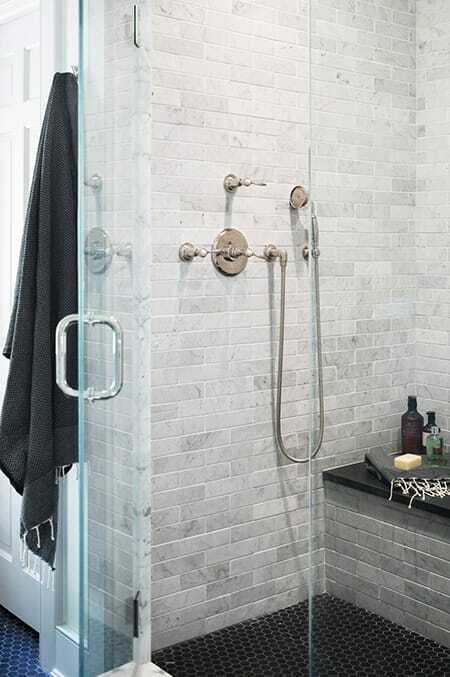 Marble subway tile in grey tones takes on a more masculine, industrial appeal in this shower. 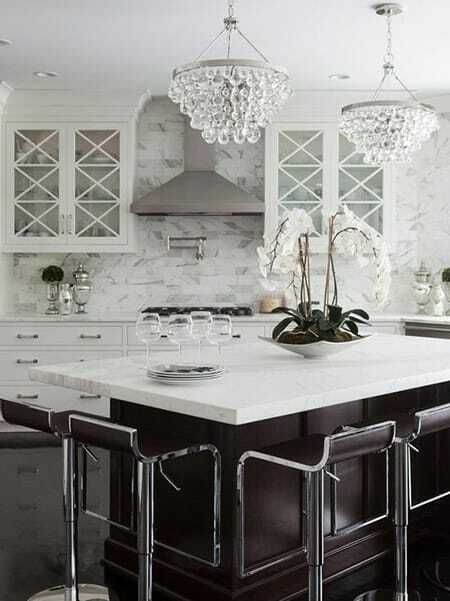 How glamorous and eye-catching is this black and white kitchen? Wow! Which one were you most inspired by?